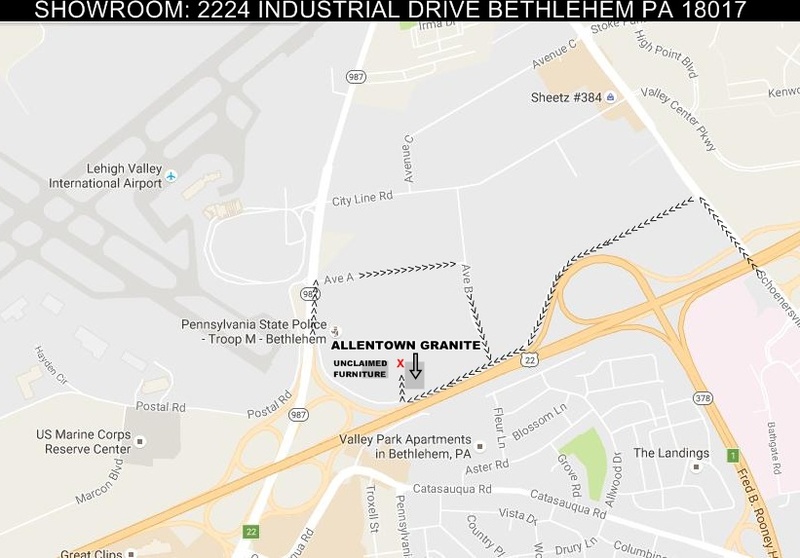 Granite Countertops Sale PA - Pennsylvania Countertops - Bethlehem,Lehigh Valley,Allentown,Poconos Granite Sales- Pennsylvania Discount Granite Countertop Are you planning to renovate your kitchen or bathroom? Are you fed up with common surface top options available on the market? Have your tried granite surface tops? We at Allentown Granite are fully equipped to handle any residential commercial granite countertop projects in PA,NJ,NY,DE. We guarantee great savings on custom granite countertops. Granite surface are natural surfaces polished and customized artificially. They can be used in the kitchen and bathroom to give a glossy and sleek surface touch. Granite is found in various regions of the world. We at allentown granite import our granite slabs from Brazil, Europe, Africa and India. We service the region with premium custom granite countertops. Granite is a glossy natural stone. It adds beauty, style, and elegance to your kitchen. Despite the beauty, the stone is very hard. As a matter of fact, the hardness is second to only diamonds. Because of this hardness, granite can stand the harsh treatment in kitchens and bathrooms. They are immune to premature or long term wear and tear and offer durable support without compromising the decor. The popularity of granite with the household niche is only a recent phenomenon. Traditionally though, granite has enjoyed the trust and praise of designers. This stone is available in a broad spectrum of natural colors. However, a generic beige or brown granite will blend with any kitchen setup you may have in place. Granite serves many purposes in a decent kitchen. It is meant for sturdy and durable use and can tolerate hot fry pans and pots without any damage to the surface. It does not allow greasy substances to permeate thanks to its silicone impregnator. It can even be used as a rollout dough surface. It is very easy to clean granite and have any cutting or finishing for your basin. Granite Countertop is especially well-received with uniqueness buffs as it is intrinsic in every granite piece. Nothing comes close to granite in terms of brilliance, elegance, style, richness, texture, and warmth. Granite is highly adaptable to any design or decor setup in the kitchen and gives a perfect blend of beauty and style. Whether you are building a house from scratch or planning a renovation to existing setup, use granite to give you an unmatched texture to your kitchen and add immense value to your property in the processes. Granite enjoys a high return on investment compared to its tile and plastic laminate counterparts. You can expect your return to grow at least 3 times of your initial investment. Home buyers will generally be willing to pay more for homes with granite tops than with the other forms of surface tops. It is best to have a clear diagram of kitchen surface where granite will replace the existing counter top. The diagram will come handy for us, will save valuable time, and avoid wastages. Most of the consulting is free of cost. Granite deserves an equally well-chosen sink and faucet for the right look and feel. Your options are an over- or under-mount sink to complete the granite surface elegantly. Use a sturdy material like stainless steel in under-mount format because it will be much easier to clean and maintain. The selection of faucet is also important in finalizing the setup for you.